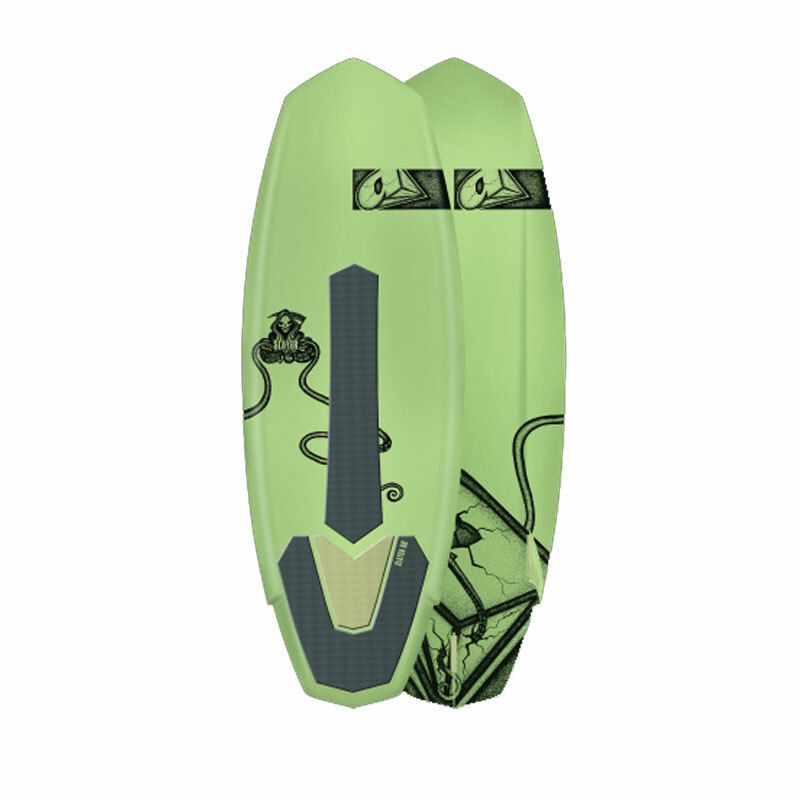 Surfstore » Stand Up Paddleboards SUP » Inflatable Offer Paddle boards » Why Choose Red Paddle Co? 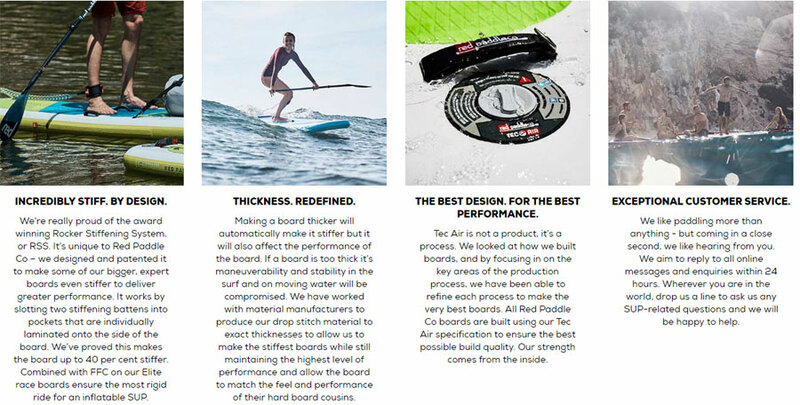 5 Reasons to choose Red Paddle Board Co. They have been at this for 10 years. They know what they are doing so you can trust them to give you the best and safest product. Innovation filled products. 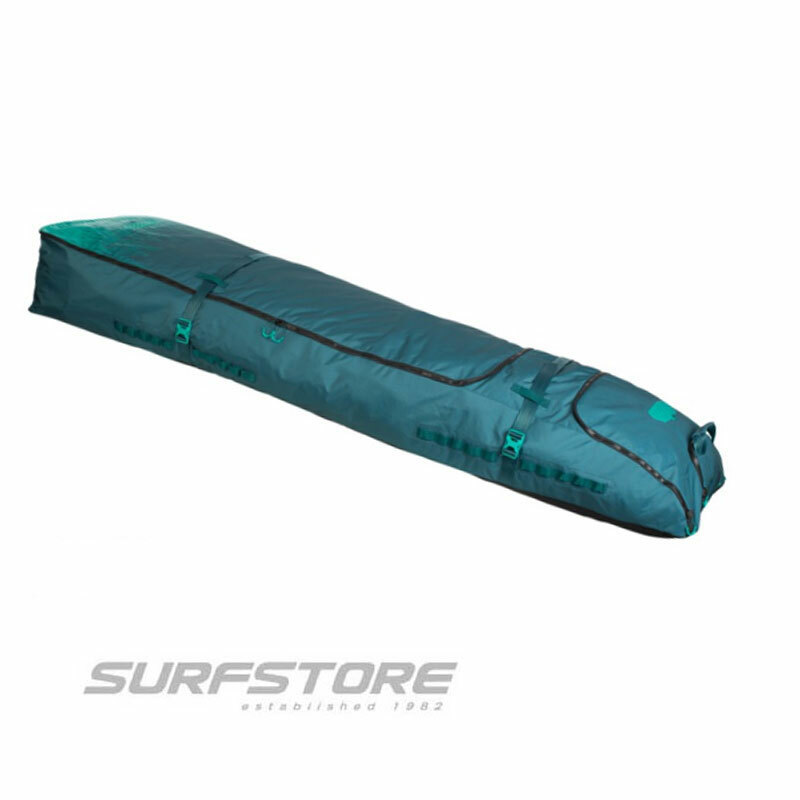 Whether it is otheir MSL material, their RSS system, Titan Pump or Roller Bag all their innovations are designed to make your life easier and to improve your experience on the water. They have your back. 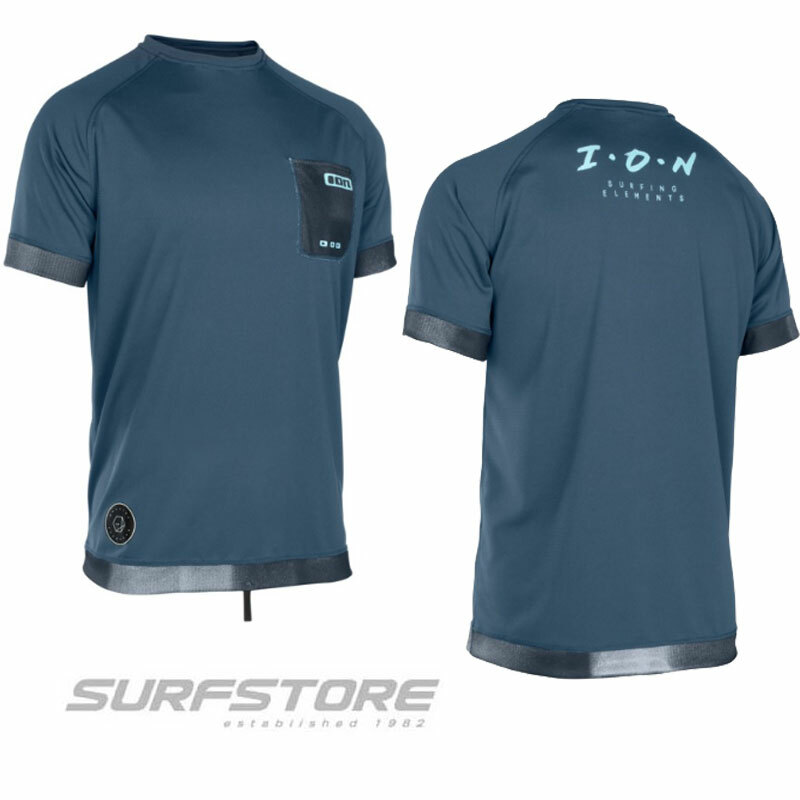 As passionate about Customer Service as they are about the products. So if you have a question they will help you. Most of the time they will have responded before you’ve had time to check your emails even late at night or over the weekend. They make what wthey sell. Having total control over their production makes a huge difference, not only to the product but also ensures all their team are well looked after and treated fairly. Most other boards are made in general inflatable factories making bouncy castles one day and boards the next. Often poorly managed. We all paddle. 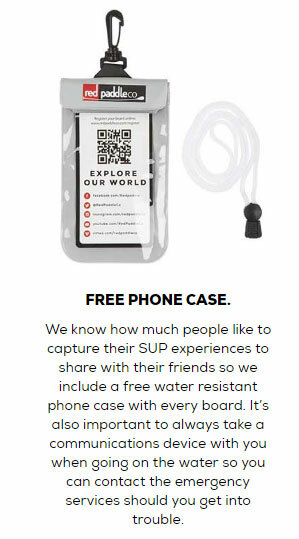 Red Paddle Co is a company full of paddlers, we aren’t just jumping on a band wagon. We all live and breathe the sport and our products. Nothing hits the shops until we are all happy with it. We stand 100% behind our products. 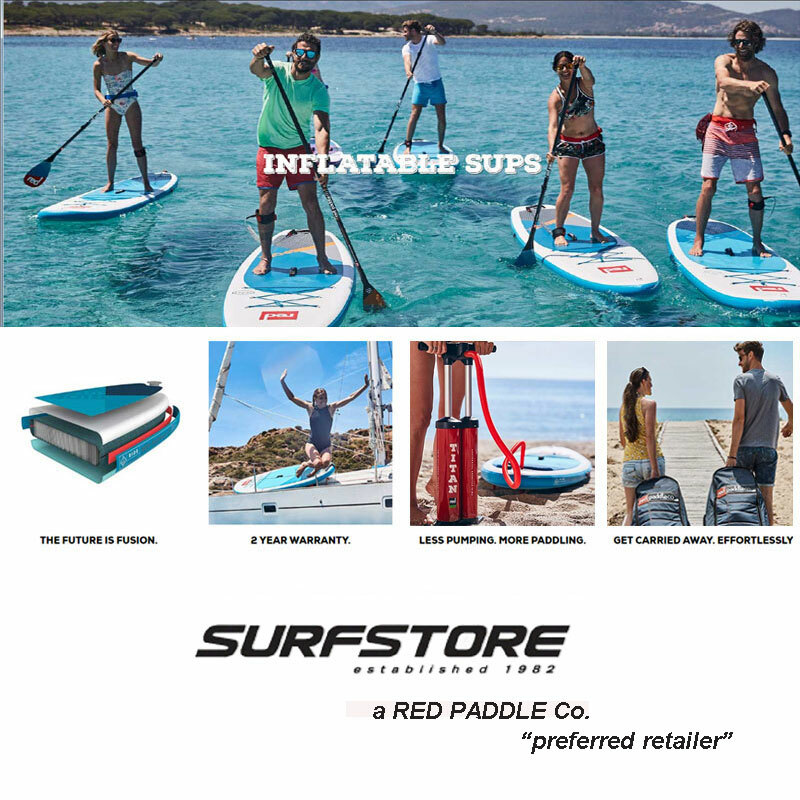 Surfstore is a RED PADDLE CO " Preferred Retailer " which means that we have the information to help any queries you may have, hold stock of boards and accessories plus a demo fleet so that you can try RED PADDLE CO boards on our 17 acre lake.